We have, surprisingly, had a pretty good summer this year in England, and I'm seriously hoping it's here to stay a little while longer. One of my favourite summer items to wear has to be a playsuit, it always has been and I love finding a new one every year. They are so easy to put together and have been even more popular this year, so here are a few of my favourites. New Look is one of my favourite places to browse, so no surprises this was where I took my first pick. I'm obsessed with embroidered detail so that's a clear theme for the first couple of playsuits. The light blue colour is super cute for summer and I love how it has sleeves because, you know sometimes it's best for my shoulders to be out of the sun. However I also love the second playsuit from Miss Selfridge. 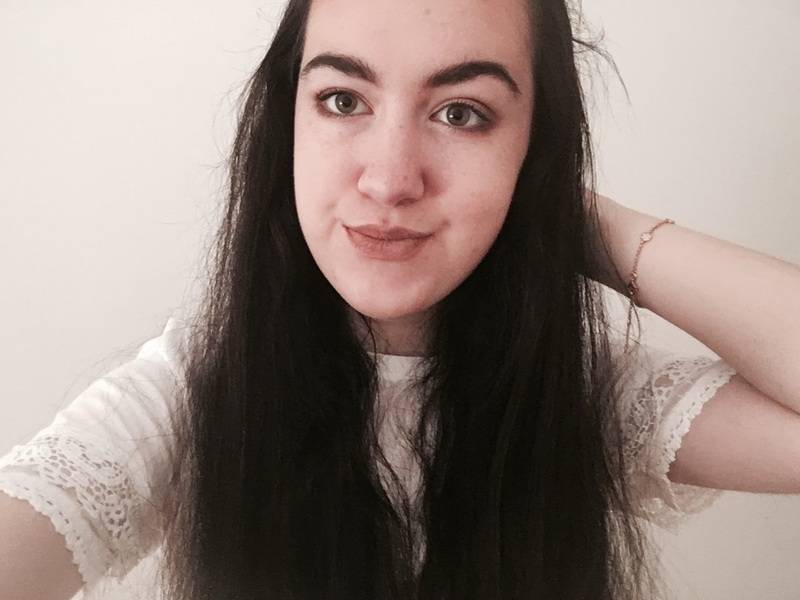 Miss Selfridge are definitely the queens of playsuits in my opinion, I've owned some really nice ones from them over the years and my best friend actually just bought a lovely one, not too different from the one I chose for this post. The rusty colour is so nice and I think this one really screams summer. 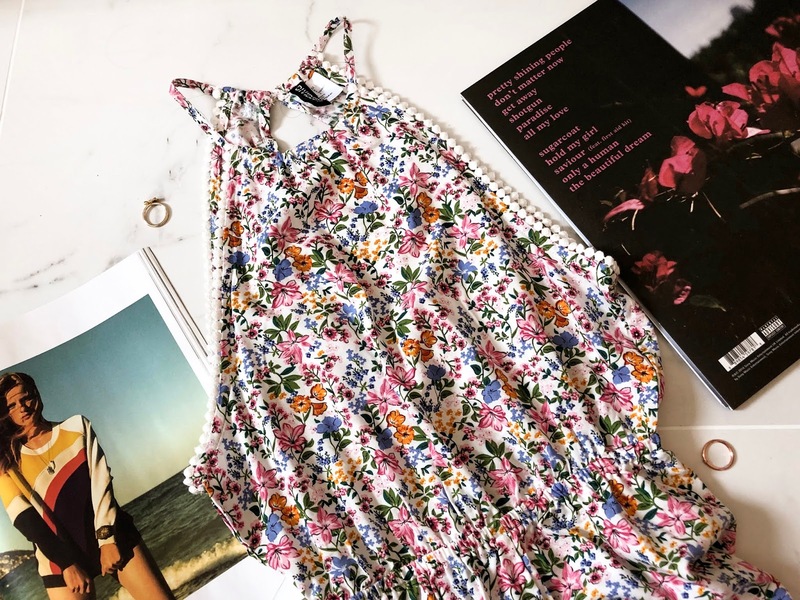 Sometimes a more basic playsuit is key - if you are anywhere warm on holiday (or even just in England during this weird summer), you just want something simple and comfortable, so ASOS has your back. I love this black playsuit and the tassels at the bottom add a lovely touch. I seriously could not be more in love with this playsuit from Topshop. It's definitely your evening one - it pairs so perfectly with a denim jacket, a la the model, and I think this one is an all year round playsuit as you can imagine it just as pretty with tights in winter. My final two picks are actually so similar - if there's something I love in life, it's definitely stripes. I actually was really tempted to buy the Hollister playsuit, however they didn't have my size in store! The fabric was super nice and light. 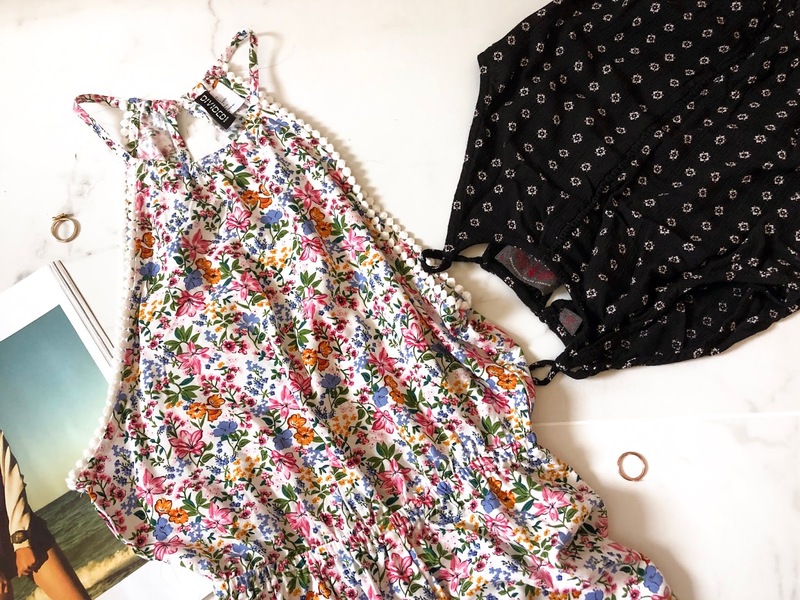 The Boohoo playsuit, I feel is the dressy, evening sister of the Hollister one, and I love it, it's such a statement piece and one of my favourites of these. My own two favourite playsuits from the summer come from Superdry and H&M. The Superdry one I bought last year - I was a little doubtful as I don't usually feel like I suit all in one black numbers, what with having a whole lot of dark hair, but this one is so comfortable and I absolutely love it. My H&M one I bought in New York, I got it on the last day and forgot to try it on so hoped all the way home it fits and thank goodness it does! The floral print is so summery and pretty. What is your summer fashion essential? Typical British weather as when I'm reading this it's raining... But playsuits are perfect for the warm weather! I adore the striped playsuit from Hollister, it's so gorgeous! I love your H&M playsuit, the floral print is so pretty!